Where grievances or concerns arise, it is recommended to adhere to the line of authority in seeking resolutions. Where possible, the form/subject teacher who is generally the first and direct line of contact between parent and child must attempt to resolve concerns. Where matters have not been satisfactorily resolved it should be escalated along the chain of command (e.g. guidance counsellor to Dean of student affairs or form teacher to year supervisor) to have it appropriately resolved. Please note, in extreme or severe cases this format may be by passed and reports be made directly to the Dean of Student affairs, Dean of Discipline, Vice Principals or the Principal. School Captain Vice Captains (3) Senior Prefects (5) Prefects Sub-Prefects Form Captains StudentCouncil President Student CouncilRepresentatives. In assembly – monitoring class at assembly, in absence of teacher. In detention room – assisting the teacher. In canteen – ensuring order and discipline during lunch periods. On campus – monitoring the main gate at the start of school and supervising students serving detentions and campus service. In Home room – assists with tutoring; maintains silence in Home Work and Extra Lesson Programme. The Prefect Body is led and coordinated by the School Captain, assisted by his Vice Captains. The Prefect Body is supervised by the Dean of Discipline. Prefects usually serve also as elected House Captains or Vice Captains, under the House Masters. The Students’ Council is the main body of student democracy. Its membership comprises the directly elected representatives of each form in the school. Each form consists of two representatives, except Sixth Form, where the senior students are expected to volunteer to serve. The President, Vice President and other officers are elected by students and the Council is supervised by the Dean of Student Affairs. appointee, may also make representation to the Board of Governors, where he serves as the student representative. He also sits on the Community Development Committee (CDC) of the community in which the school is located and on the National Secondary Schools’ Student Council (NSSSC). At the beginning of the term the form teacher appoints a Form Captain and an Assistant Form Captain. The Form Captain assists in monitoring and maintaining discipline within the class, especially in the absence of a teacher. Form Captains and their assistants may be reappointed at the start of the next term to serve for the rest of the year or may have their appointments rescinded. Maintaining discipline in the school. Co-ordinating the responsibilities of all prefects and sub-prefects. Serving as a positive role model for other students. Meeting with the Principal, Vice-Principals, administrative staff and teachers to discuss vital issues relating to the student body, vision, direction and image of the school. Representing the school at important events. Helping to build and maintain school spirit. Building good relations between students and the Prefect Body. Meeting with the Vice Captains, Senior Prefects, Prefects and Sub- prefects to discuss important issues pertaining to the Prefect Body. Temporarily directing the Prefect Body in the absence of the School Captain. Serving as a positive role model for all the students. 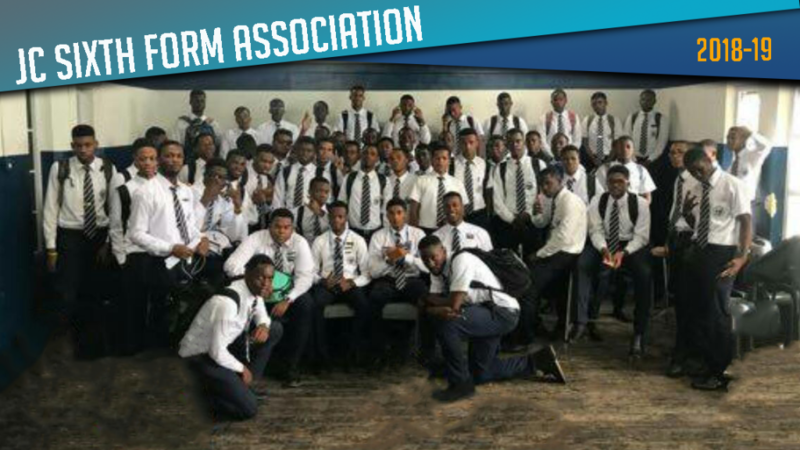 Co-ordinating the Year Group to which he is assigned, ensuring that each prefect is early and present at his assigned form room in the morning and in the afternoon. Reporting any student problems in his Year Group to the School Captain. Helping to maintain discipline in the school and build school spirit. Meeting the School Captain and Vice Captains to report on Year Group activities and discuss important school related issues. Making recommendations on the issuing of awards and merits to students and prefects. Helping to maintain discipline in the school and encouraging good behaviour. Carrying out form room assignments, bonding with the students to help instill discipline, brotherhood, good morals etc. Monitoring the class during general assembly. Carrying out class room duties in the absence of form teachers, such as marking the form register, carrying out form devotion/worship as required. Performing other duties such as substituting for a teacher, patrolling the school compound, maintaining order in the library, at the canteen, at school assemblies, etc. Reporting to the senior year prefect in charge of his class/year group, and to the School Captain. All sixth formers are student leaders and are expected to maintain good leadership standards and carry out duties as assigned. Acting as Prefect in the absence of Form Prefects. Assisting form teachers with form room and other classroom duties. Helping the prefects with all on-campus duties, including assembly, canteen and ground patrol duties. Controlling the class in the absence of the teacher.